Istanbul Chamber of Industry (ICI) March ordinary Assembly meeting was held on 28 March 2018 in Odakule with the main agenda of "Review of ICI Board's 2013-2018 Operations and Activities". Talking at the last Assembly meeting of ICI before the elections of Professional Committees and Board of Directors, Erdal Bahçıvan, ICI Chairman of the Board of Directors, said "I wish these elections to bring good luck to our Chamber and community". "As ICI, we had pioneered the efforts of returning to the production economy in Turkey within the last five years. Various steps ranging from the VAT reform sent to the approval of the Grand National Assembly of Turkey, Credit Guarantee Fund incentives, removal of Resource Utilization Support Fund to the investment, R&D and export incentives were taken after we voiced them." 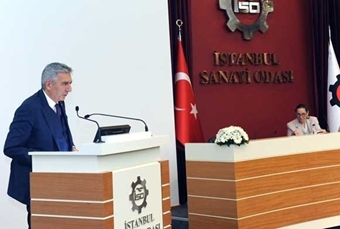 Bahçıvan also underlined the following during his speech: "ICI had become an exemplary non-governmental organization with the synergy that it achieved, the unity, solidarity and cooperation that it displayed and the brand value that it complied with within the last five years. Our industrialists that shoulder the responsibility for the development of Turkey deserve the best of everything and this will continue to be like that from now on, too." "As our dear Chairman Erdal Bahçıvan stated, we are struggling to make Istanbul Chamber of Industry a reference organization for Turkey in the field of industry on one side and almost like a pharmacy on duty for our industrialists on the other since we took office. Our Assembly and Board managed to act wise during stormy days and to do the right thing for our industry. Thus, I would like to thank all of you one by one. If there is a new domestic industry move, an excitement for Industry 4.0 and a dream to write an industry-oriented success story in Turkey today, then the Chamber that we are proud to be under its roof today has a huge share in this. We are living in such a period that we can't even tolerate to lose a single day. 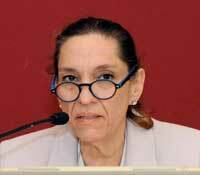 It is necessary for Turkey to prepare itself to a new period requiring such complex and new skills with a brand new mentality. And for us, the industrialists, to be the leaders of this preparation, to lead the way as the North Star is a mission assigned to us by the history. I hope and wish that we, as Turkey, can overcome this challenge while the world constantly changes and transforms under unfair conditions. And I believe in the man power of Turkey, and especially the industrialists." After this speech, ICI Assembly President Okyay invited Deniz Selin Ünlüdağ, a scholar of ICI Foundation who recently had a great success in fencing. 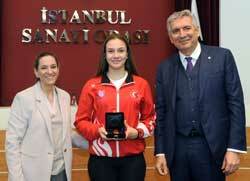 ICI Foundation scholar Deniz Selin Ünlüdağ, who brought the championship medal back to Turkey after 95 years by winning the European Junior and Cadet Fencing Championship held last month, made a brief speech and expressed her happiness to be there. Thanking ICI for their support, Ünlüdağ received an award from ICI Assembly President Zeynep Bodur Okyay and ICI Chairman Erdal Bahçıvan, too. ICI Chairman Erdal Bahçıvan took the stage to address Assembly Members regarding the main agenda of the ICI Assembly meeting and began by informing ICI Assembly Members regarding the chamber elections. "As we had announced before, the Professional Committee and Assembly Members elections that will be held at Hilton Elmadağ Convention Center on 2 April 2018, Monday will be followed by the elections of Assembly Presidency, Board of Directors, Discipline Committee, TOBB Delegates and Professional Committee Presidents and Deputies in Odakule on 7 April 2018, Saturday. I wish these elections to bring good luck to our Chamber and community." Bahçıvan said that they were in a struggle for and proud of carrying the honor and responsibility of managing Istanbul Chamber of Industry, as the oldest and largest industrial chamber of Turkey throughout their term covering the period of 2013-2018. Underlining that this happiness that they felt in their heart gave them a never decreasing motivation and determination to work and the support and motivating positive approach of Assembly members improved their strength even further, Bahçıvan said "I would like to take this opportunity to thank and express my gratitude to our dear Assembly Members on behalf of myself and our Board". Reminding that they had defined their main objective for the term in their work schedule that they had shared with Assembly Members as expressing the fact that a stronger industry is the base of a stronger economical and social stability to all groups of the society and respective organizations, Bahçıvan stated that they said they will continue their operations and projects with a long term industry vision and the goal of making Turkey a strong industrial country. Bahçıvan mentioned that the last five years had been a period, where an economical approach centered around high value added industrial production stood out for all regions of the world, not just Turkey and the key to overcome economic recession was a return to industry and production. Stating that the industrialists had achieved their mission to be a bridge between the government and the public during this period as it can be seen on the 2013-2018 Activity Report shared with the ICI Assembly Members, Bahçıvan recorded that they had submitted many requests and suggestions to the government to carry Turkish economy to a better position in general. Bahçıvan reminded that they had met with the Turkish Prime Minister, Ministers and bureaucrats in various occasions during Assembly meetings and Professional Committee Partner meetings honored by Ministers and elite guests, Ankara visits and other thematic meetings. Naming such contacts as a valuable communication platform for expressing the issues forwarded by the industrialists and mainly the Assembly Members, Bahçıvan recorded that they pay a special attention to the cooperation mentality that they had prioritized throughout their term while using this communication platform. 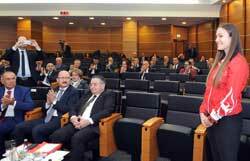 Bahçıvan underlined that they had always been part of the solution by expressing solution suggestions along with the problems. "Especially the VAT reform recently sent to the Grand National Assembly of Turkey, the initiation and continuation of Credit Guarantee Fund incentives, the removal of Resource Utilization Support Fun in forward purchases of raw materials used in the manufacturing industry, the expansion of investment, personnel, R&D and export incentives with a brand new mentality, the reforms in employer-employee relations, the prevention of over expensive industrial fields, the tax regulations protecting the industrialists and many others are steps taken after we voiced them." Naming themselves an exemplary non-governmental organization with the synergy that they achieved, the joint excitement that they created, the unity and solidarity mentality that they shaped and the long ICI brand value that they had embraced in the last five years, Bahçıvan continued: "We should be so happy that we are feeling the peace and honor to be achieving this together. Our industrialists that shoulder the responsibility for the development of Turkey deserve the best of everything and this will continue to be like that from now on, too. I have no doubt that Istanbul Chamber of Industry will extend to the future with trust as always and continue its contribution to our industry and Turkey." ICI Assembly Members, who took the stage after Bahçıvan, shared their opinions about the operations of the Assembly in the last five years.